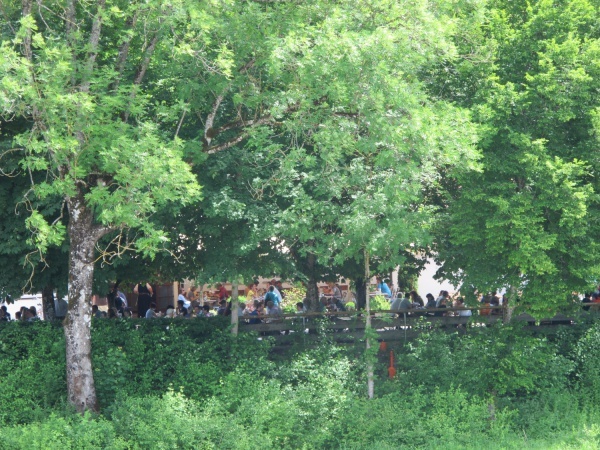 The Bruckenfischer beer garden is located in Egling directly by the bridge called Dürnsteinbrücke Schäftlarn over the Isar. 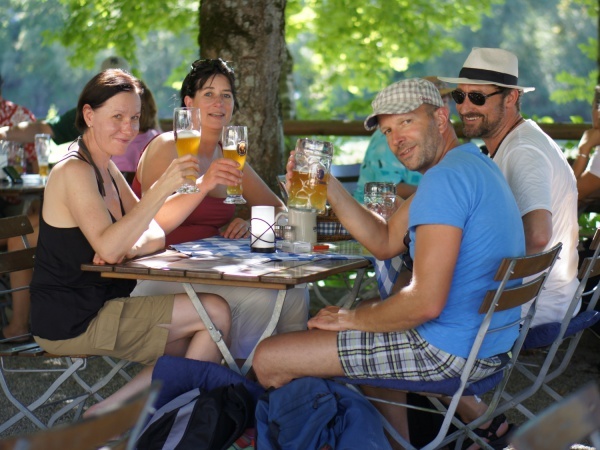 The beer garden is a popular stop-by for bikers, hikers as well as young crowds floating on inflatable dinghies along the Isar river. The beer garden has 450 seats, shaded by large trees. The tables of the self-serviced area are located directly at the edge of the Isar river offering excellent views of the occasional timber rafts passing by. The restaurant has existed since 1905. The current owner and hunter, Josef Wagner, offers wild game specialties during the hunting season. Fresh seafood comes from the nearby Aumühle fish farm. At the “Forellenabend” every Friday evening fresh trout is offered at €9.90 (April 2011). The Löwenbräu Hell costs €6.00 p/Maß (July 2017). The beer garden is open Saturday, Sunday and on public holidays between 10am and 10pm. During weekdays, the self-serviced food and beer stall is closed and beer can instead fetched from the restaurant building.